Whether standard or bespoke we aim to help you choose the right greenhouse for you and your garden. All of our standard buildings are free-standing and cover a range of sizes and options. For larger free-standing greenhouses and a variety of ways to position your greenhouse against a wall or into a corner our bespoke service is tailored to finding the best solution. We have a unique way of creating the perfect greenhouse using a mixture of materials. 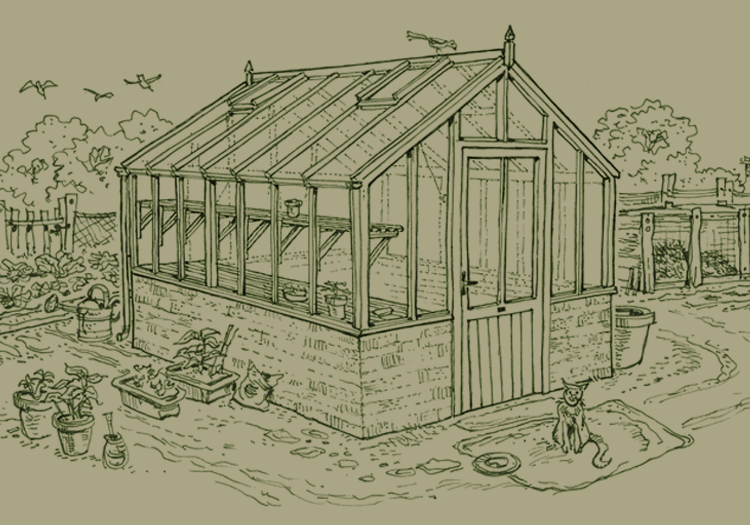 Find out more about these materials and how we put a greenhouse together. To get a better idea of what’s available; browse our gallery where you can filter images by type or style.